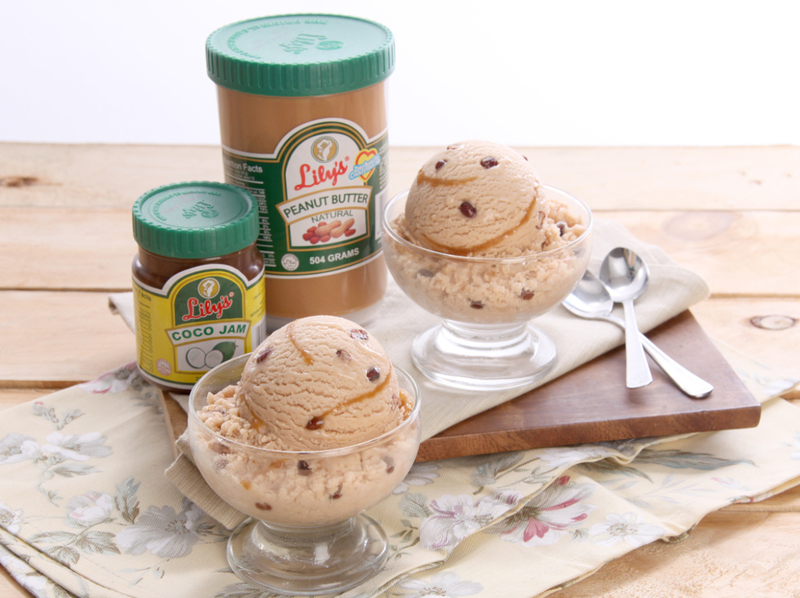 Condense the island flavors in one icy bite with this sorbetes made with Lily’s Peanut Butter and Lily’s Coco Jam. Luscious films of coco jam are tucked within layers of creamy peanut butter and red monggo syrup mixture – the perfect composition to beat sultry days year round. This won’t only excite your taste buds, as the biotin and manganese enriched peanut butter and the antioxidant properties of coconut are good for you, too. In a bowl, whip all purpose cream until soft peaks form. Add in Lily's Peanut Butter and 2 tablespoons of Lily's Coco Jam. Whip mixture until ingredients are well combined. Add in drained red monggo. In the desired container, place 1/3 of the cream mixture. Drizzle half of the remaining Lily's Coco Jam. Repeat layers finishing with the cream mixture. Allow to freeze overnight. Serve. Adjust the sweetness according to your preference by reducing or adding Lily's Coco Jam.